Will Scotland suffer Quebec-style fate? Scotland's clear rejection of independence has eased fears that it could suffer the kind of decline seen in Quebec after it failed to break away from Canada. Quebec held two votes on independence -- in 1980 and then again in 1995 -- and in their wake suffered years of slower growth than the rest of the country. 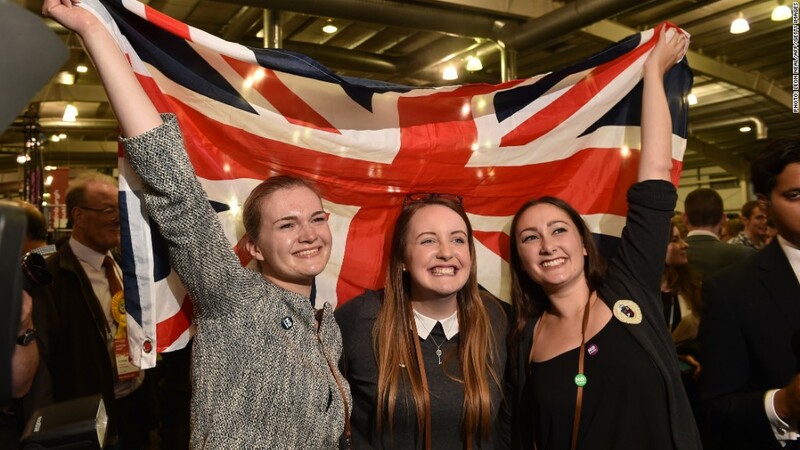 While plenty of risks remain for Britain, the margin of defeat suffered by independence campaigners should save Scotland from damaging open ended uncertainty. "This means that longer term investors will not fear a fresh referendum, preventing any adverse impact on direct investment flows into the U.K.," said HSBC in a report. Just over 55% of Scots voted to remain in the U.K. during Thursday's referendum -- a bigger majority than expected -- and analysts say the chances of another referendum are slim. They were further reduced Friday by the resignation of Scottish nationalist leader Alex Salmond. Had Scottish voters opted to stay in the U.K. by only a small margin, money may have continued to flow out of Scotland. Investors would have been nervous about committing to an uncertain future. Annual growth in Quebec averaged 2.3% between 1981 and 2006, significantly weaker than Canada's overall rate of 3%, according to the Montreal Economic Institute. "The prolonged uncertainty between 1980 and 1995 is often cited by commentators as a factor in Canada's economic difficulties in the 1990s," Canadian lawmakers said in a 2013 report. Still, despite the conclusive nature of Thursday's vote, Scottish leaders will need to act quickly to rebuild business confidence. "It will be important for the Scottish government to assuage the business community there to neutralize any risks," said Philip Shaw, an economist at Investec. Some major Scottish businesses, including the Royal Bank of Scotland (RBS), threatened to move their headquarters south of the border if the nation broke away. Others were worried about the impact of a split on trade and prices, echoing fears expressed by Quebec businesses in the 1990s.